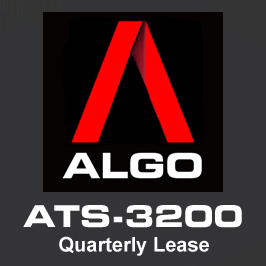 Advanced Trading Systems Inc is now offering the ATS-3200 trading system for a 12 month lease paid quarterly. The price listed above is for a 3 month lease. The ATS-3200 was first developed in 1992. The developer, Charles Tanti, started trading it in September 1993, and made 83% in 6 months (verifiable by broker statements). Past performance is not necessarily indicative of future results. During the 25 years it has been in existence it never had a losing year, except in 2007, when the system suffered a loss of only $1094. Over this period the average yearly profits were $15,266. However during the last 10 years the average yearly profits were only just over $10,000 per year. [all profits are hypothetical]. All results are hypothetical. Please see disclaimer. 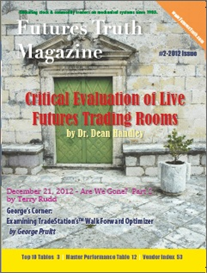 * Currently ranked the #4 by Futures Truth Magazine in their Top Bond Systems table. Please check all the credentials on ATS' web site: www.ats3200.com. *PLEASE READ* The ATS-3200 system is available to lease for a maximum of 12 months. You will be billed quarterly. You can cancel at any time. No contract is required. System Developer - Advanced Trading Systems Inc.
Disclaimer: Hypothetical performance results have many inherent limitations. No representation is being made that any account will or is likely to achieve profits or losees similar to those shown. In fact, there are frequently sharp differences between hypothetical perfomance results and the actual results subsequently achieved by any particular trading program. One of the limitations of hypothetical performance results is that they are generally prepared with the benefit of hindsight. There are numerous other factors related to the markets in general or to the implementation of any specific trading program which cannot be fully accounted for in the preparation of hypothetical performance results and all of which can adversely affect actual trading results. There is a risk of loss in futures, forex and options trading. There is risk of loss trading futures, forex and options online. Please trade with capital you can afford to lose. Past performance is not necessarily indicative of future results. Nothing in this site is intended to be a recommendation to buy or sell any futures or options market. All information has been obtained from sources, which are believed to be reliable, but accuracy and thoroughness cannot be guaranteed. 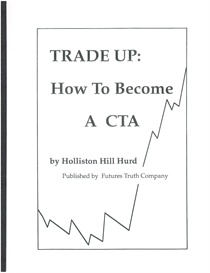 Readers are solely responsible for how they use the information and for their results. 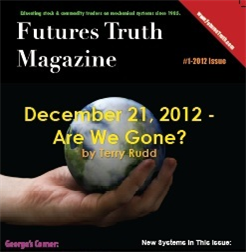 Futures Truth Company does not guarantee the accuracy or completeness of the information or any analysis based thereon.